Saudi Arabian national carrier flynas has launched its new service from the Kingdom of Saudi Arabia to the Kingdom of Bahrain, with the first of its three weekly flights from Riyadh landing at Bahrain International Airport on 1 December 2015 at 4:00pm. Highlighting the pioneering low-cost carrier’s success in continuously growing its operations, the new service to Bahrain expands flynas’ reach to 26 destinations throughout the region. 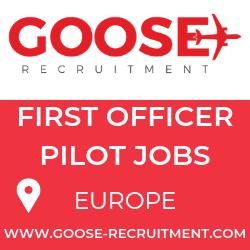 Bahrain is also the third destination to be added to the flynas GCC network after Dubai and Kuwait. Both Riyadh and Jeddah flights will operate three times weekly every Tuesday, Thursday and Saturday – providing flynas guests with greater travel options and choice. The flights from the Saudi capital depart at 6:50pm arriving in Bahrain at 8:00pm. The return departs at 8:50pm to arrive in Riyadh at 10:00pm local time. The flights from Jeddah commence on 3 December 2015, departing at 4:55pm with an arrival time of 7:25pm. The return leaves Bahrain at 8:15pm arriving into King Abdulaziz International Airport in Jeddah at 10:55pm local time. “Given the high demand for this route, we are confident that this new service will benefit both markets on account of Bahrain’s strong appeal as an attractive destination for business and leisure,” added Al Mohanna. In 2014 alone, 6 million Saudis visited Bahrain – a year-on-year increase of 19.3%, making them by far the largest segment of visitors from a total of 6.6 million GCC travelers to Bahrain. The significant growth in the number of travelers between Bahrain and KSA serves to reinforce the long-standing relationship the two countries share across their business and leisure sectors. Al Mohanna also congratulated the entire flynas team and thanked all the government entities and aviation authorities for their support in ensuring the success of this new service. To mark the occasion, flynas also hosted a gala dinner which was attended by Mohamed Khalil, Chief Commercial Officer of Bahrain Airport Company as well as key Government and Bahrain International Airport officials at the Domain Hotel in Bahrain. 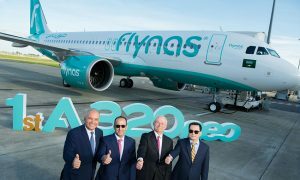 “We would like to congratulate flynas on successfully adding these important routes to their growing network of destinations within the region. 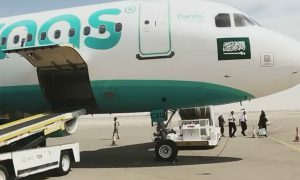 flynas’ decision to launch this new service between KSA and Bahrain will certainly enhance travel options for domestic, regional and international visitors alike and also give the regional aviation sector a significant boost especially as we continue to see a sustained increase in the number of students and leisure guests traveling between the two countries each year,” said Mohamed Khalil, Chief Commercial Officer of Bahrain Airport Company. 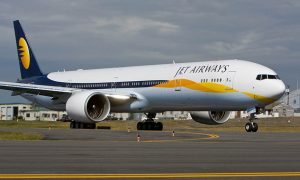 The two routes will be operated using an Airbus A320 aircraft with the capacity to carry 164 guests in a two class configuration – 156 in Economy and 8 in Business Class.